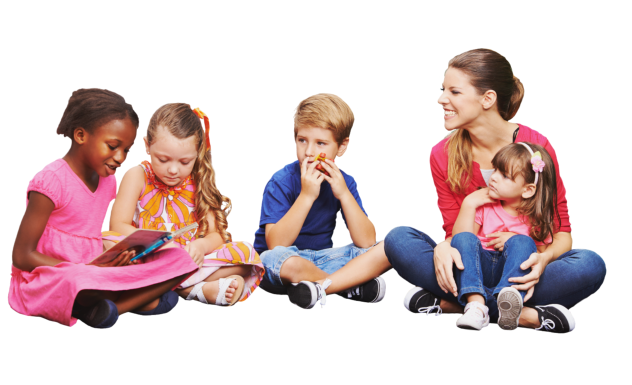 GCA Montessori offers our Preschool Program where we provide lots of opportunities for preschoolers to learn. Additionally, we also give them opportunities to build their self-confidence, enhance knowledge, and develop social skills they can all use for future success. Our Preschool Program is based on a Montessori Curriculum. and are higher achievers on standardized reading and math tests in later years. Sensorial Area: These specific activities focus on developing the child’s five senses. Using sizing block with board, for example, as the child observe, compare, and make decisions, he develops visual discrimination of height and size, and the ability to match a shape to its proper inlet. Language Area: The preschoolers learn how to recognize and differentiate sounds as well as to write. These activities would help the child develop his spoken, reading, and writing skills. Mathematical Area: The children learn how to recognize and count numbers as they develop concept and operations of number in an exciting and concrete experience through hands-on work, movement, and working in the group. 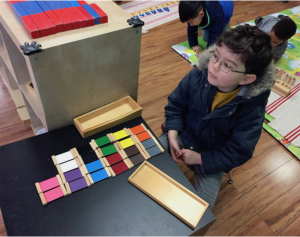 As they progress, as part of the Montessori education, they will become familiar with the decimal system and geometry, as well as addition, subtraction, multiplication, and division. While children progress, the focus is stressed on more individualized and abstract work. Cultural Area: Cultural activities include history, geography, science, art, music, and movement. Learning about various cultures, the children develop their sense of belonging and significance in the world. Practical Life: This activity is prepared to help the children become responsible members of society. They learn and express a sense of order, independence, and respect for others as well as for the environment. It also helps them to refine their concentration and hand-eye coordination. The Montessori Practical life shelves are full of activities to reinforce pouring, cutting, spooning, tonging, dusting, sweeping, napkin folding, mixing colors, making bubbles, using locks and keys, using a whisk, etc. We’d love to have your preschooler join us in class! For your inquiries, you may contact 604-496-5115.